UC Blue Ash Library would like to congratulate the graduating class of 2015! UCBA Librarians participated in the Commencement ceremony held on May 2, 2015. Each semester, the UC Blue Ash Library Faculty and Staff take part in a diversity awareness session in order to learn how to better serve the our community and the unique needs of our users. On Friday, May 1st, VetSuccess on Campus Counselor Jill Cochran, UCBA Coordinator of Veteran Student Affairs Dave Frese and Assistant Professor and Rally Point rep Marissa Oehlhof shared useful information about our student veteran population and tips on how the library might provide better services to them. UCBA Library Faculty & Staff celebrating in style. The UCBA Library had a great time celebrating National Library Week (recognized April 12-18, 2015). Many thanks to our UCBA community for stopping by for treats and participating in our related activities. UCBA Faculty Scholarly and Creative Works Activity. ​Research Revelry: Research comes in all shapes and sizes (as noted on the sweet treats). Visitors shared their favorite tips and tools as well as their most recent Google searches. See the gallery for images of various NLW 2015 activities and items. UCBA students, staff and faculty are invited to participate in the 26thannual National African-American Read-In. The goal of the NAARI is to make the celebration of African American literacy a traditional part of Black History Month activities. This year, the National African-American Read-In will be observed at UC Blue Ash College on Tuesday, February 24, 2015 from 11:00am – 1:00pm in Walters 100. During the event, volunteers read aloud a short passage by an African-American author. Information about the national event, a list of recommended readings, and the volunteer registration form can be found on the National African American Read-In Guide at http://guides.libraries.uc.edu/ucba-naari. Be sure to stop by the UCBA Library to browse and borrow suggested titles in the UCBA Library’s periodicals area near the entrance. Question: What would cause you to stop reading a book half-way through? Heather Maloney, Library Director: Sleep and kids….I love both dearly. Michelle McKinney, Reference/Web Services Librarian: f I can’t connect with the characters or plot or if it’s taking too long to get moving. I normally give a book 3 chapters to catch my attention. Kellie Tilton, Instructional Technologies Librarian: Dragging plots. Or if I’m not in the right frame of mind for a certain genre. Sometimes I’m just suddenly not in the mood for a sobfest. Lauren Wahman, Instruction Librarian: If the book isn’t catching/keeping my interest. I used to give a book the first 100 pages, now, it’s more like the first 25-50. Rachel Lewis, Technical Services Manager: Setting my book down and starting another project. I do it ALL the time. Chris Marshall, Public Services Assistant: Can’t relate to the characters. 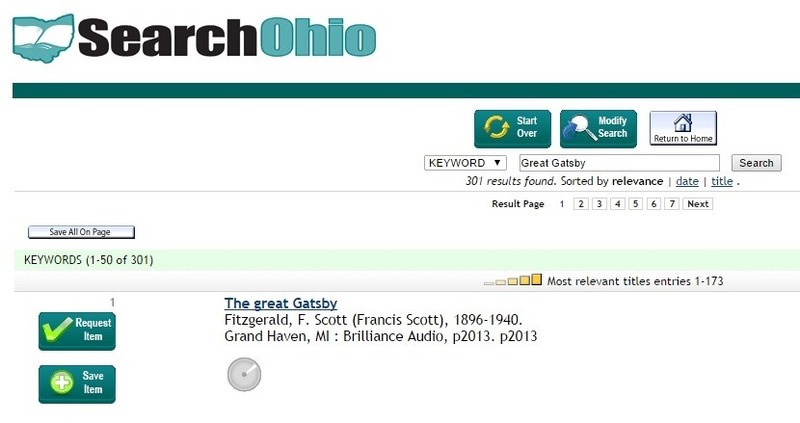 SOLUTION #2 – Do your library research outside of Blackboard by going directly to www.libraries.uc.edu. You should NOT see canopy.uc.edu​ in the website address/URL. ***Note for Faculty: You can help address this problem by creating Blackboard links that automatically open in a new window outside of Blackboard. UC Libraries is currently working on addressing these issues to make your research process more seamless. If you have any questions, feel free to stop by the library or contact us at 513-745-5710. Question: Do you listen to audiobooks? Heather Maloney, Library Director: Nope but keep meaning to get some. I’m usually listening to music, NPR, or my 4 year old in the car. 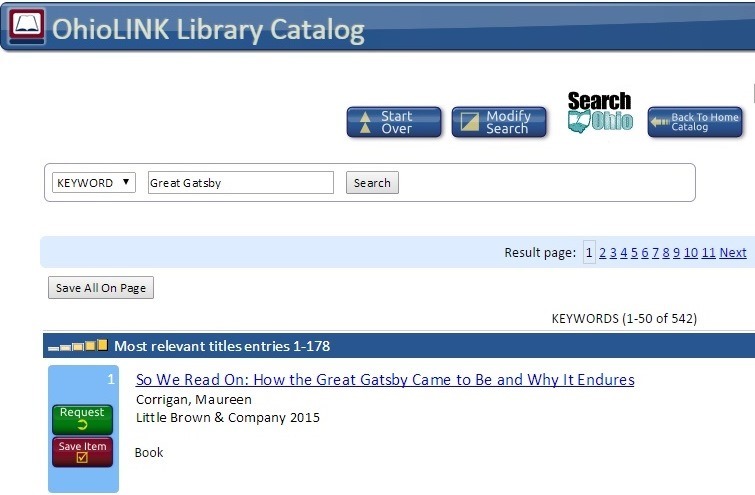 Michelle McKinney, Reference/Web Services Librarian: Yes! I love audiobooks. I started listening to them when I had an one-way, hour-long commute years ago and have been hooked ever since. Jim Dale (Harry Potter) is one of my favorite readers. Kellie Tilton, Instructional Technologies Librarian: Sometimes. I’m pretty bad about paying attention to them, so that can be problematic. Lauren Wahman, Instruction Librarian: Only on road trips. Rachel Lewis, Technical Services Manager: No. Chris Marshall, Public Services Assistant: Yes, but have not in awhile. Use to listen to them more when my kids were younger. Helped travel time go faster. UCBA Fun Facts: Favorite book turned movie? Question: What is your favorite movie based on a book? Heather Maloney, Library Director: For fun? Clueless — as if. Action? Girl with the Dragon Tattoo. On the more dramatic side, Empire of the Sun…I saw it when I was a teenager, and I’ve been a Christian Bale fan ever since. Michelle McKinney, Reference/Web Services Librarian: Harry Potter and the Sorcerer’s Stone. Chris Marshall, Public Services Assistant: The Notebook, love that movie, and love that book!